The Conference of the Parties adopted amendments at its meetings. 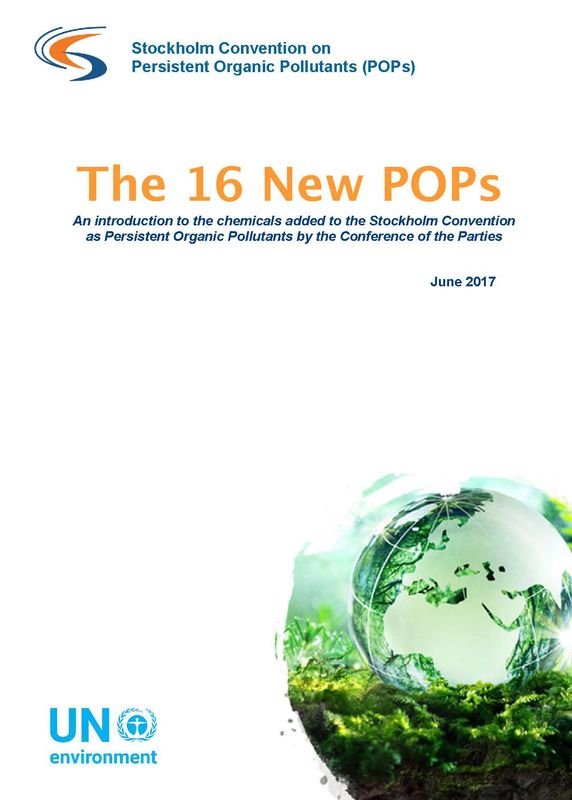 For quick overview, you can download the booklet introduces basic information on the 16 newly chemicals added to the Stockholm Convention. See also Factsheets on some of the listed POPs (PFOS, DecaBDE, SCCP, HCBD), chemicals recommended for listing (Dicofol, PFOA) and chemicals under review by the POPs Review Committee (PFHxS) and related exemptions. Polychlorinated naphthalenes in Annex A with specific exemptions and in Annex C (decision SC-7/14). The amendments were communicated by the depositary to all Parties on 15 December 2015. Reference: C.N.681.2015.TREATIES-XXVII.15 (ENGLISH | FRENCH). Hexabromocyclododecane in Annex A with specific exemptions (decision SC-6/13). The amendment was communicated by the depositary to all Parties on 26 November 2013. Reference: C.N.934.2013.TREATIES-XXVII.15 (ENGLISH | FRENCH). Technical endosulfan and its related isomers in Annex A with a specific exemption (decision SC-5/3). The amendment was communicated by the depositary to all Parties on 27 October 2011. Reference: C.N.703.2011.TREATIES-8 (ENGLISH | FRENCH). The amendments were communicated by the depositary to all Parties on 26 August 2009. Reference: C.N.524.2009.TREATIES-4 (ENGLISH | FRENCH). The dates of entry into force of those amendments are here. Detailed risk profile can be accessed by clicking a chemical’s name. Production: As allowed by the parties listed in the Register of specific exemptions.